Nashville, TN (January 11, 2013) – Rock legends Lynyrd Skynyrd headline the "2013 Heroes Red, White & Blue Inaugural Concert Ball" honoring America’s Military Heroes in Washington, DC, on January 20, 2013. The invitation-only event is sponsored by Citizens Helping Heroes, DOG TAGS, a program of the Washington Humane Society, and Green Beret Foundation. Honorary co-hosts include Speaker John Boehner, Majority Whip Kevin McCarthy, Chairman Howard “Buck” McKeon, Chairman Spencer Bachus and Chairman Bill Shuster. Esteemed guests include members from TAPS (Tragedy Assistance Program for Survivors), the Warrior Transition Brigade from Walter Reed National Military Medical Center and the Tuskegee Airmen. 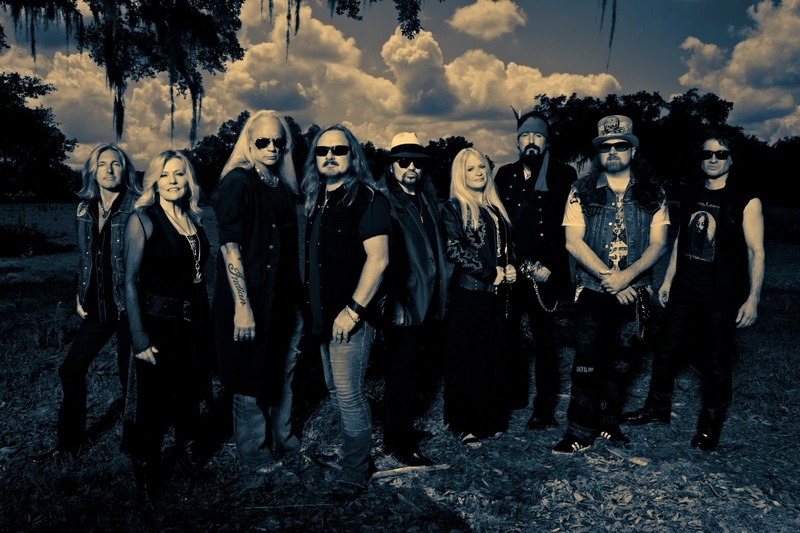 With a catalog of over 60 albums, sales beyond 30 million worldwide and their beloved classic American rock anthem “Sweet Home Alabama” having over two million downloaded ringtones, Rock & Roll Hall of Famers Lynyrd Skynyrd remains a cultural icon that appeals to all generations. Led by core members Gary Rossington (guitar), Johnny Van Zant (vocals) and Rickey Medlock (guitar), Lynyrd Skynyrd continues the tremendous legacy that began over 35 years ago in Jacksonville, Florida with their August 21, 2012 release, Last Of A Dyin’ Breed, a legacy that was halted for a decade after the 1977 plane crash that killed three band members, including Ronnie Van Zant and Steve Gaines. Since then, the band tragically lost Billy Powell, Ean Evans, Allen Collins, Leon Wilkeson and Huey Thomasson, yet they continue to forge ahead. Rounding out the line-up is bass player Johnny Colt, an original member of the Black Crowes who recently joined the band, Mark “Sparky” Matejka on guitar, Peter Keys on keyboards, and Dale Krantz Rossington and Carol Chase as the Honkettes backing vocalists. Citizens Helping Heroes is a non-political, non-profit 501(c) 3 organization based in Washington, DC and dedicated to supporting those who selflessly defend our collective freedoms, primarily through their military service to our country. “CHH” as it is known, was formed in 2003 by a group of citizens who wished to offer recognition and assistance to our troops serving abroad, and has since expanded in scope to honor and assist all of our active military and their immediate relatives, with a special focus on our wounded warriors and families of the fallen. Our core mission is to utilize our unique position in the Washington, DC-metro area to provide regional and national assistance, recognition and “hands-on” support to our troops and to their families. The Green Beret Foundation is a non-profit, 501(c) 3 foundation that provides financial resources, immediate need supplies, caregiver assistance, and educational scholarships to wounded or ill Army Special Forces warriors and their families. We operate with high efficiency in the most challenging special operations environment, mitigating the burden of America’s most elite warriors, and facilitating their return to active duty or a successful transition to civilian life. DOG TAGS brings together Wounded Warriors who are recovering at Washington, DC area Military Hospitals with homeless dogs at the Washington Humane Society. In addition to being exceptionally therapeutic, this innovative program teaches soldiers the basics of dog training which enables them to pursue either a hobby or a career working in the field of animal training, care, and welfare. In the process of gaining valuable skills for themselves, the soldiers provide the homeless animals with training, socialization and love, which increases their adoption rate and retention in their new homes. This program gives WHS an opportunity to give back to the injured men and women of the Armed Forces while creating healing relationships that benefit both humans and animals. In 2013, WHS will be expanding this program to help a larger pool of veterans, and of course, more animals. To date, over 75 soldiers and hundreds of dogs have graduated from DOG TAGS, while dozens more soldiers have participated and benefited from the program.